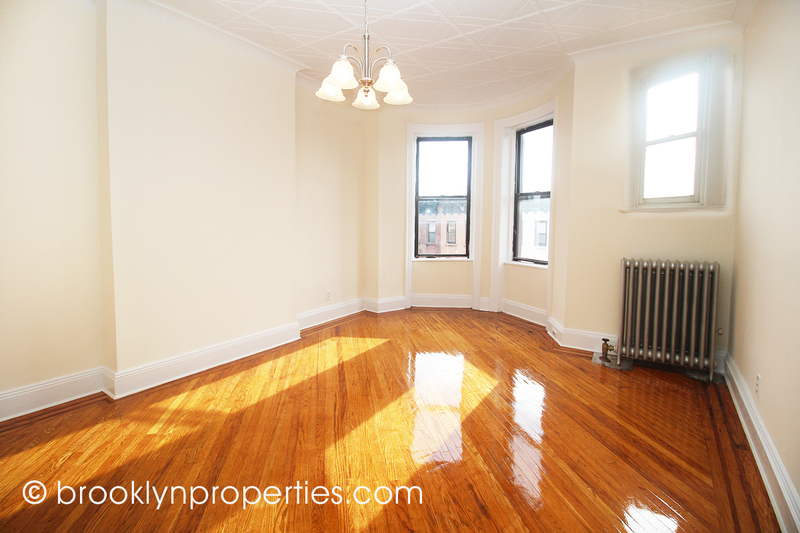 Prime location with original details: tin ceilings, built-ins, hardwood inlaid parquet floors. Two bedrooms + dens/dressing rom/studies. Windowed eat-in kitchen with good storage. Bathroom with window and linen closet. Basement storage and bike room. Easy walk to shopping, schools, restaurants, subways, Prospect Park. Low common charges includes heat & hot water ($439) & taxes ($167). Sponsor sale: Make it yours with an owner’s touch.